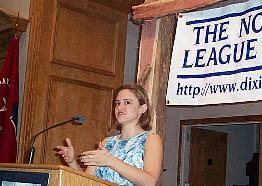 Here is a picture of WBT-1110 hate radio personality Tara Servatius attending a League of the South meeting. According to the Southern Poverty Law Center, there are 29 hate groups in North Carolina. 4 of these are League of the South groups located in Charlotte, Durham, Wilmington and Burlington. The League of the South is a White Supremacist Organization that advocates the destruction of the United States of America and the US Constitution. What are some of the League of the South’s beliefs according to the SPLC ? As a general matter, they don’t think the Civil War was fought over slavery — it was really about tariffs, or imposing a newly powerful federal government on the South, or spreading the industrialsystem of the North. They say that the South was “invaded,” even if Southerners fired the first shots at Fort Sumter, S.C. Most don’t think slavery was all that bad, and some believe that segregation was a perfectly fine policy meant to protect the integrity of both races, black and white alike. They think that Lincoln was an evil man, bent on destroying the South and willing to use any excuse to do so. They typically see the North as godless, and determined to wreck the Southerner’s natural religiosity. They believe the core population of the South and the bearer of its culture is “Anglo-Celtic,” meaning white. Many support theocracy, oppose interracial marriage and reject the notion of equality. I have listened to Tara Servatius on a daily basis for some time. The hate she spews towards the United States of America is well known. And barely a day goes by that she isn’t trying to drive a wedge between the white and black community. And if she can make fun of a gay person along the way then her day has been fulfilled. 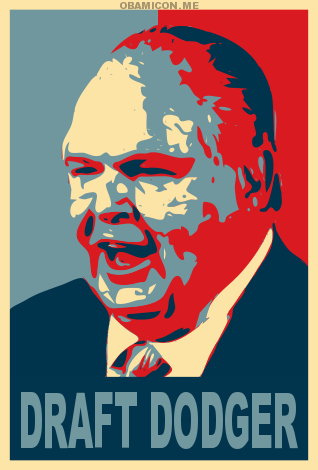 Its all in a days work for WBT-1110’s latest Hate Radio jock. Tara Sevatius does not represent our community. She represents a very narrow and hateful view of America. Its time for her to find a new occupation.